You are Vietnamese but you have never once set foot or traveled to Halong Bay or if you are a foreign tourist, you have never heard or learn about Ha Long bay Vietnam. Halong bay was 2 times recognized as an UNESCO world natural heritage, Ha long Bay is the attraction you should come once! As a tourist, I would confuse and find about the Halong tours destinations, travel expenses, accommodation costs and other costs incurred. Those are very common concern when you are traveling but to Ha Long bay tours they are different, where nature is being endowed with the Gulf and very long and beautiful coast, Traveling with Halong bay tour package, you will no longer worry about the costs incurred as well. Because the price that you pay for those suppliers has included services such as meals, accomodation, tickets fare to visit tourist attractions, travel expenses and may even be some including others services. 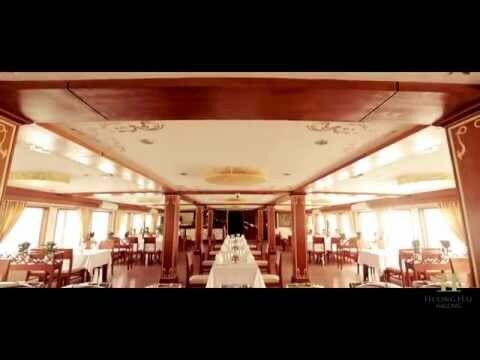 So what is the best cruise deals on best Halong bay cruise? In each cruise boats, you will get the best quality service from Huong Hai Halong crew to satisfy your desire . We alway wish you have safe, comfortable and experienced Halong Trips. Super Promotion Program for 2016 Summer!